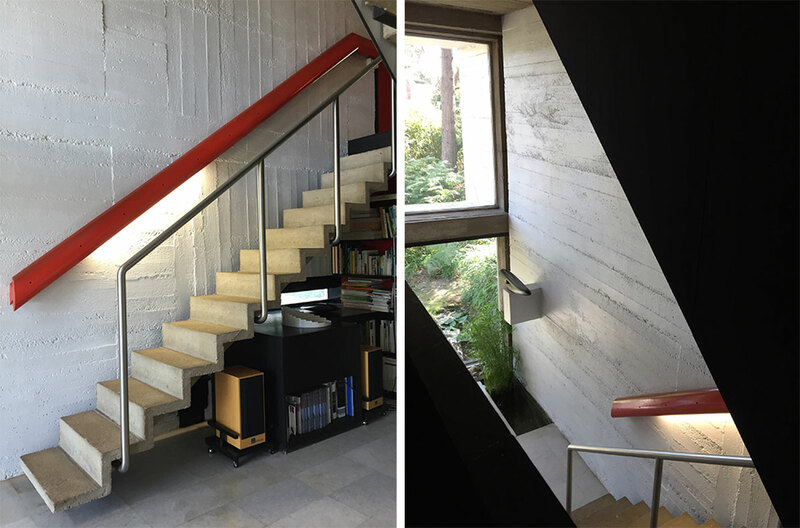 Marta Pan and André Wogenscky’s house is a testament to their lives and work together, as sculptor and architect. 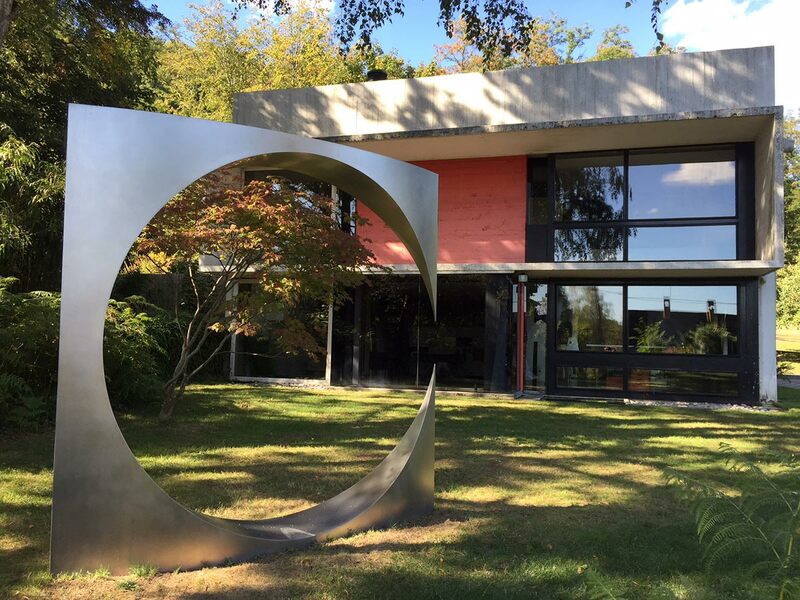 André Wogenscky, well-known for having designed the Paris hospitals Necker and Saint Antoine, the Prefecture des Hauts de Seine, Grenoble’s Maison de la Culture and Beirut’s Ministry of Defense and Faculté des Sciences, designed the house which was built in 1952, in the Vallée de Chevreuse, south of Paris. 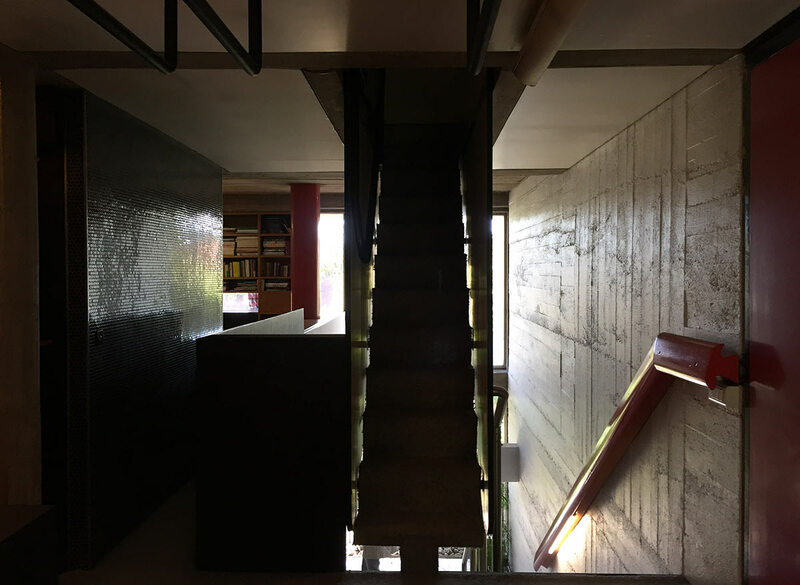 Wogenscky was working with Le Corbusier at this time on the Cité Radieuse and the house follows Le Corbusier’s principles : built on pilotis, with a roof terrasse and large bay windows. 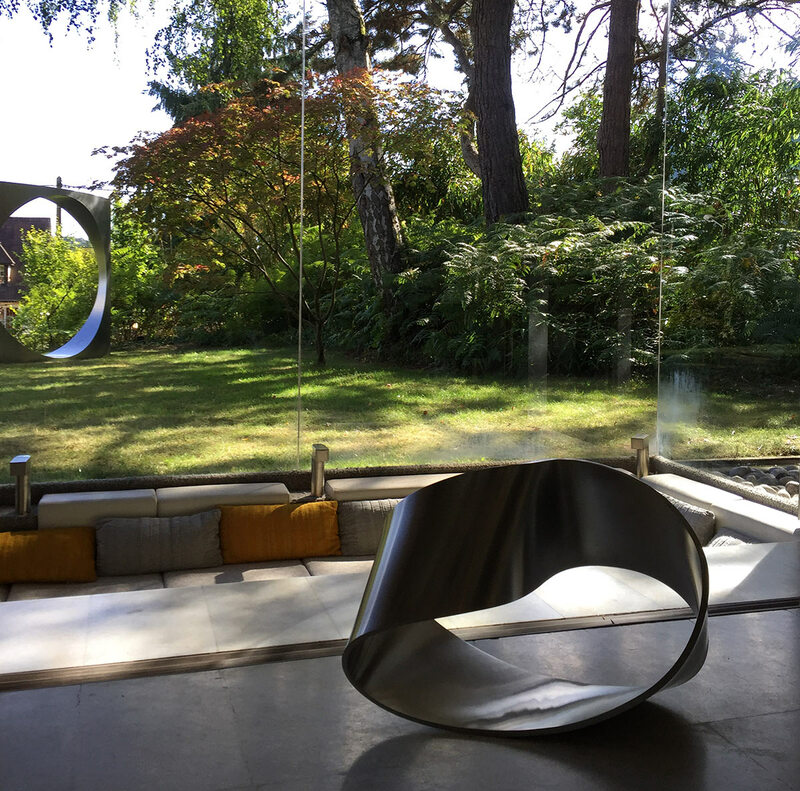 The floor to ceiling windows blur the frontier between indoor and outdoor, as does the presence of Marta Pan’s sculpture both in the living room and outside. Wogenscky’s creed was “See people before architectural forms”. 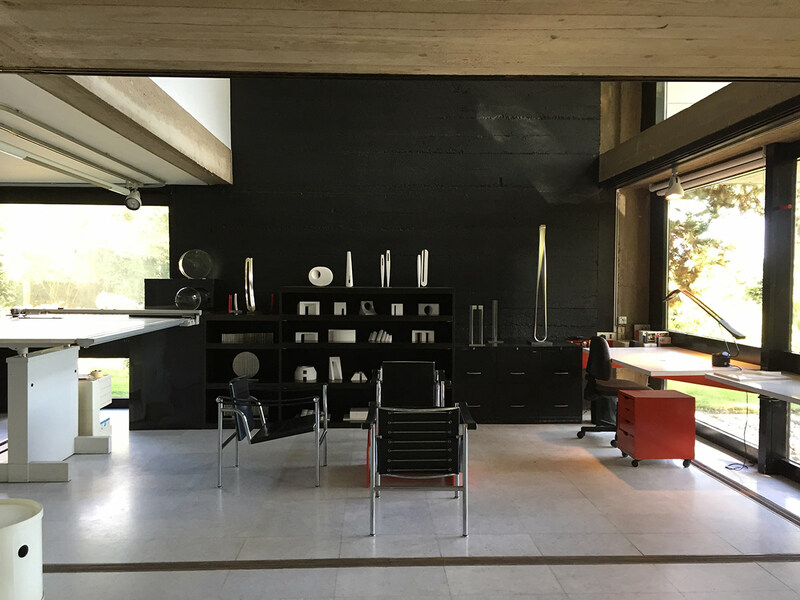 Architecture, for him was about the organisation of space, about proportions, volumes and creating a sense of rhythm. The Vallée de Chevreuse house has narrow corridors, that oblige you to squeeze through, feeling the presence of the walls around you. 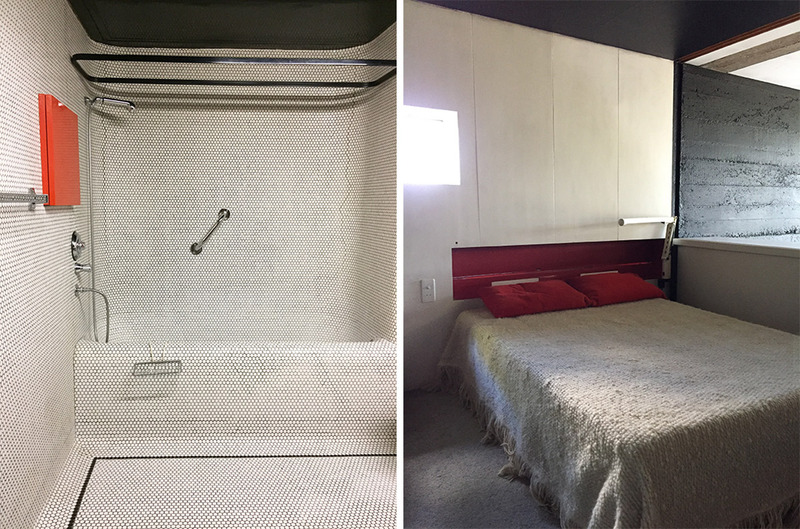 The tactile presence of the walls is reinforced by the choice of materials, some left bare in concrete, others clad in shiny mosaic or painted mat black. Although they worked in different disciplines, Andre Wogenscky and Marta Pan consulted each other frequently. 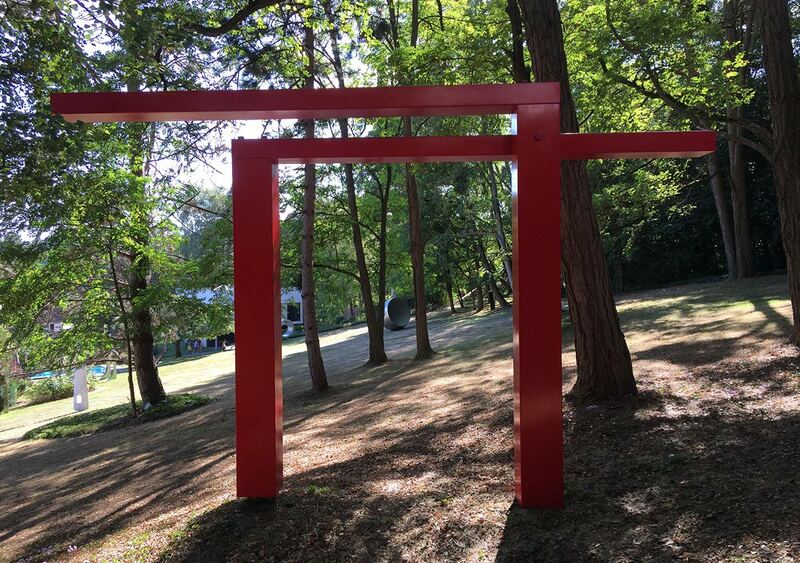 They shared similiar ideas about colour, both being disinclined to use it in their work, apart from red, which they considered to represent life. Their work, when placed together, created a sense of dialogue, the strict geometry of André Wogenscky’s architecture somehow completed by the organic shapes privileged by Marta Pan. From 1952 until the early 2000s, numerous projects saw the juxtaposition of Wogenscky’s architecture and Pan’s sculpture. Pan attached great importance to the link between the work of art and its surroundings. 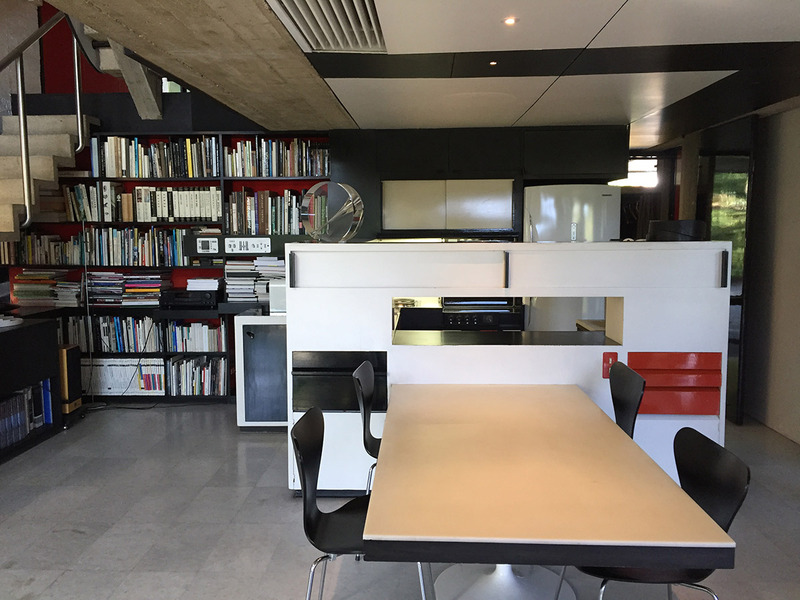 The main areas of their home are dedicated to their work : a large atelier for Pan on the ground floor and a study for Wogenscky on the mezzanine. 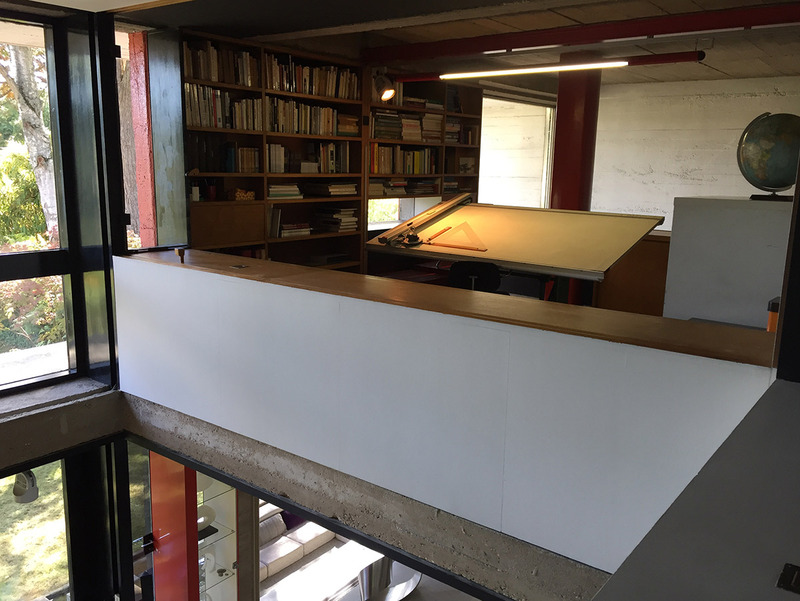 After Marta Pan and Andre Wogenscky passed away in 2008 and 2014, the couple’s “house-studio” became the Fondation Marta Pan – André Wogenscky. 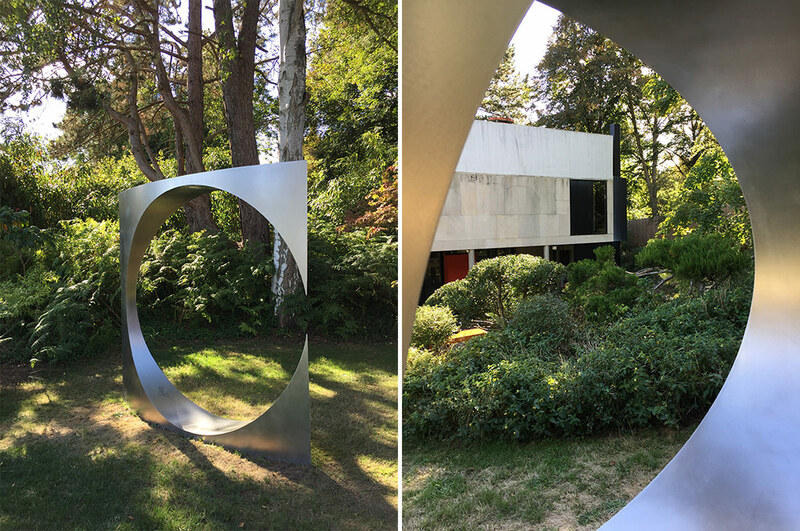 The garden hosts a selection of sculptures by Marta Pan, which not only interact with each other, but with the garden and the architecture of the house itself.